Having a hard time finding good quality round bales? 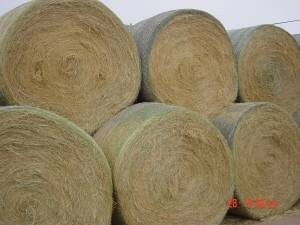 Lochte Feed has 5 ft. by 5 ft. round bales available for $85.00 a round bale. Please call the store if you have any questions! This entry was posted on Thursday, November 29th, 2012 at 10:01 pm	and is filed under News & Updates. You can follow any responses to this entry through the RSS 2.0 feed. Both comments and pings are currently closed.